In Bauchi, the demon awakened by the last year’s contentious All Progressives Congress (APC) primaries still roves untamed. And the virulent ghost seems prepared to strip the incumbent governor, Muhammed Abubakar of his political future. But he has vowed to do whatever it takes to exorcise the belligerent spirit that seems poised to drag him into a political limbo. Like in most states across the country, the October 2018 primary in Bauchi was raucous and violent – at least one person was confirmed killed and several others injured. Thugs drove from villages to villages in the 20 local governments of the states, intimidating party members. There was also the disagreement on the type of the primary to be conducted. While those who did not want the incumbent to return, wanted direct primary, the governor’s camp pushed for indirect primary. 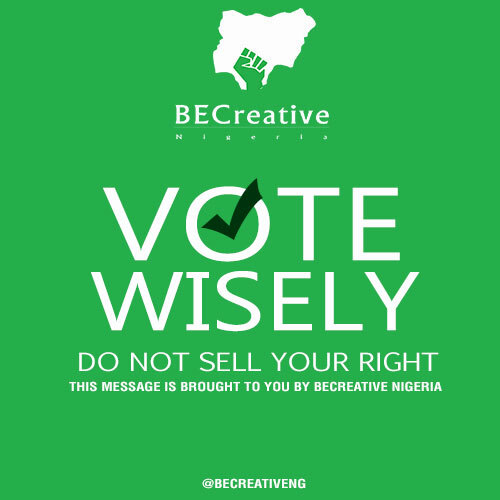 At first, it seems like those opposed to the governor had had their way when the national leadership of the party ruled that direct primary would be used to choose the party’s candidates in the 2019 elections. But they had their hope dashed when the electoral committee in the state announced Mr Abubakar as the party’s flagbearer. Depending on who you asked, the primary either did not hold at all or was free and fair. One thing was certain though, nobody has seen the official result of the primary. As it is often the case with Nigeria’s ideological-empty politics, many of the aggrieved members left the APC. While some returned to the open hands of the former ruling People Democratic Party (PDP), others joined the newly rejuvenated People’s Redemption Party (PRP) and New Nigeria People’s Party (NNPP). Others like Ibrahim Lame and Bala Jibrin, aspirants who had run against the incumbent in the vexed primary, chose to remain in the party but with no love lost with Mr Abubakar. Their resolve to make sure the governor does not return for a second term was steadfast. 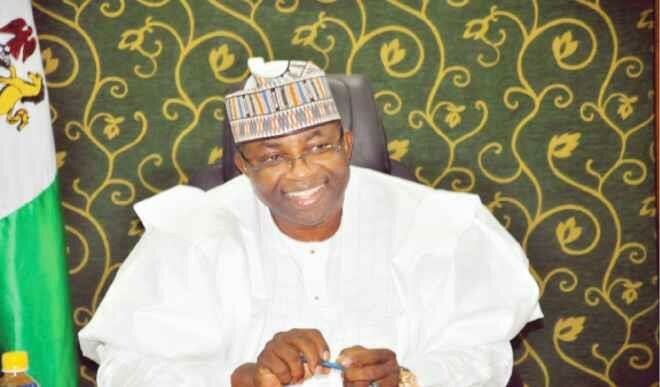 On the night of the February 25, sitting in the large hall of the Bauchi State head office of the Independent National Electoral Commission (INEC) office among a small group of his aide patiently waiting for the last results of the presidential election in the state to be announced, Mr Jubrin told PREMIUM TIMES that Mr Abubakar’s tenure has been abysmal. “This governor, you will write a lot home about him, but they are all negative. He is ‘violent friendly’, he likes terror. People were shot in order for him to do the primary without election. People were teargassed, “ he said. He said the governor could not account for the N500 billion he received as federal allocation and has nothing to show for his time in office. “I don’t know what he has done that is worth celebrating. I don’t know. I don’t know any project that he started and completed from the beginning to the end in the last four years. You said you are from Lagos? If there is a way we can borrow Ambode that you people are trying to impeach, and let him come a spend the remaining part of the tenure, we would,” he said. “Bauchi State is at crossroads today and will need to decide on March 2, 2019 at the ballot on its future direction. It faces a choice between two contrasting future directions, between truth and falsehood, justice versus oppression, shared prosperity versus mass poverty,” Muhammad Pate, the governorship candidate of the PRP, and a former Minister of State for Health also said. It is hard to fault these arguments. Outside Bauchi metropolis, a drowsy town peppered with chicken suya vendors at every street corner, the state is a neglected tourist treasure. That Bauchi has consistently ranked at the bottom of almost all human development indices is not exactly the best PR for a governor seeking re-election. According to a 2016 United Nations Development Programme’s Human Development Index (HDI) Bauchi, with a value 0.3238, occupied the 35th position. It had occupied the 29th position in 2013 with a value of 0.2636. However, Jafaar Dass, a Public Administration lecturer at the Federal Polytechnic, Bauchi, said it would be unfair to tar the entire tenure of the government a failure. He said the best way to evaluate how a government has performed was to look at what it has achieved or failed to achieve sector by sector. Mr Dass said one area where the Mr Abubakar’s administration deserves commendation was the construction of rural roads. Another thing Mr Abubakar can boast of is that Bauchi is one of the few states in the country that has consistently paid its workers and pensioners as at when their salaries and pensions are due. In Nigeria, economic and social development are not particularly election deciders. Voters pay more attention to things like ethnicity, religion and political affiliations in choosing their leaders. Even here, Mr Abubakar falls short. The rumour in around Bauchi is that he is not a true indigene of the state. People said his father, a policeman, was originally from Kogi but settled down in Bauchi after he was transferred there years before the governor was born. The organising secretary of APC in Bauchi, Abdulkadir Gyangyan, said he was not in the mood to talk about the issues at stake. “I’m not answering this question. Go and ask the person that told you that the governor is not popular he can give you that answer,” he said. “You spoke to people of the opposition party. My brother, don’t tell me that. I am with the governor right now. My only answer to you is the votes. It remains three or four days (to the election) you will see what happens in Bauchi. That is my answer. I know that MA (Muhammed Abubakar) will win the election,” he said during a telephone interview. Apart from members of his own party who want him out, Mr Abubakar is also contending with a groundswell of challengers from the PDP and PRP, the two main opposition parties in the state. If results from 23 February presidential election is anything to go by, one would think the incumbent should blitz over other contenders. But in politics, things are not always as they seem. After the presidential and National Assembly elections, the APC won all three senatorial seats in the state and eight out of the 12 House of Representatives seats in the state. The PDP won one while the PRP took two of the seats. One of the seats is inconclusive. Analysts have ascribed the party’s gain in the last election to the popularity of President Muhammadu Buhari in the state. The president won over 70 per cent of the votes in the state. But on Saturday, the president will be out of the equation and it will be every man for himself. The PDP will do well in Bauchi South senatorial district where the influence of the speaker of the House of Representatives, Yakubu Dogara is unmatched in three of the seven local governments – Tafawa Balewa, Dass and Bogoro – of the district. In Bauchi metropolis, the PRP is the most popular party and rightly won the House of Representatives seat of the town, which has some of the most populous polling units in the state. In Bauchi North, APC lost the House of Representatives seat In Katagum local government, the most populated local government in the zone, to the PRP. Nuhu Gidado, a former deputy governor of the state, who resigned in May 2018 following what he described as “dampened spirit and waning zeal” in the discharge of his duties will be making sure Mr Abubakar gets as little votes as possible from the district. But all is not completely bleak for Mr Abubakar. The failure of the opposition to present a united front is a plus for him. Mr Pate, and the PDP candidate, Bala Muhammed, a former minister of the FCT, will share opposition votes in key opposition strongholds like Bauchi and Katagum local governments. Of the two opposition candidates, Mr Muhammed stands a better chance of toppling the incumbent, but his ongoing corruption trial will put off many voters who would have ordinarily voted for him.